Sara Cubarsi and Madeline Falcone play microtonal duos for violin, viola, and baroque violins, including Marc Sabat’s just intonation Bach compositions, Bartók reimagined in microtonal arrangements, a piece by Marc Sabat, and new works by Sara Cubarsi and Eyvind Kang. 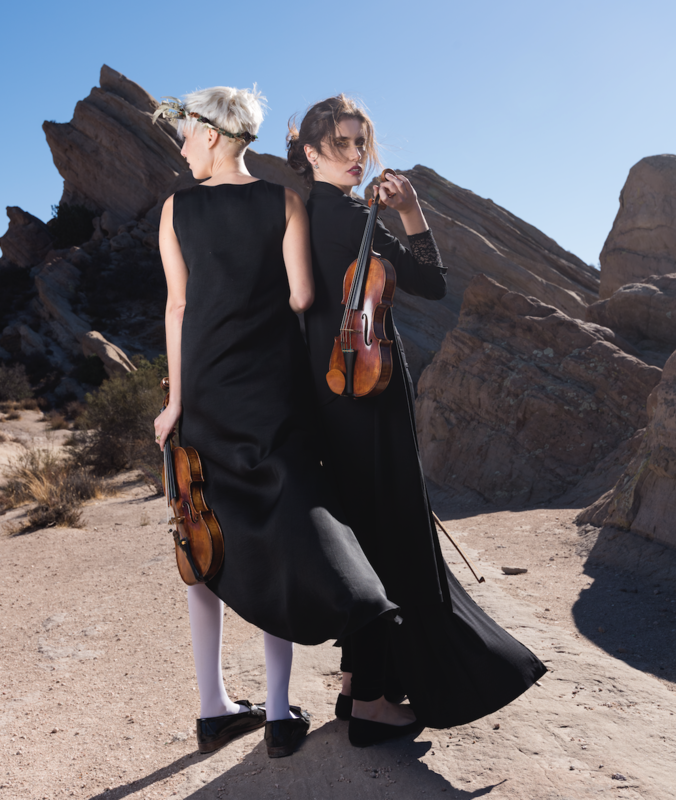 falcone | cubarsi is a Los Angeles-based duo created in 2017 by Madeline Falcone (violin/viola) and Sara Cubarsi (violin). The duo’s inaugural project was a recording of Marc Sabat’s just intonation Bach interpretations with the composer in Berlin. Since then, Falcone and Cubarsi have performed together on modern, baroque, and electric instruments. In approaching both traditional and contemporary music the duo brings a sense of adventure, considering academic and historical study while allowing space for new, imaginative interpretations. Madeline and Sara met by coincidence when they became housemates in 2016, and began studying and playing music together for fun. microtonal landscapes will be their fourth performance collaboration, and expands the ideas they began to explore through their initial study of just intonation Bach.